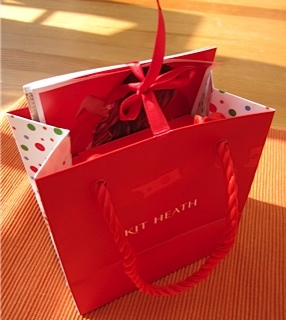 Includes – Charm & bracelet, presentation box and wrap, presentation bag. 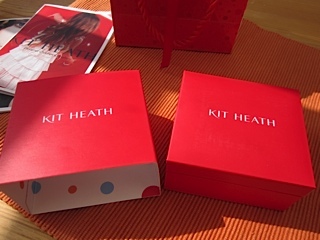 When I was asked to do a review of a piece of jewellery from Kit Heaths’ new cool britania kids range I did not hesitate. 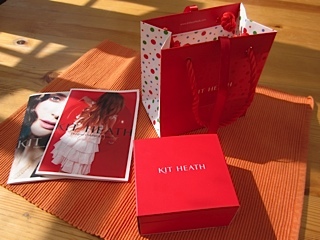 I have loved Kit Heath jewellery for quite a few years. My favourite pieces, a beautiful indian inspired silver necklace and matching earrings are so well worn that they are missing bits and one earring is unfortunately broken. But I still wear the pieces I can as they are so elegant and beautiful and I am so glad to be able to report that the bracelet I review here is sweet as anything. It is the entire package that impressess. 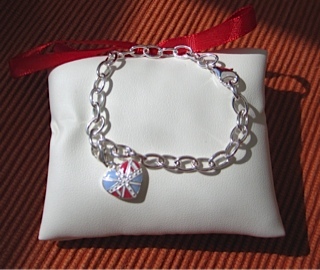 The adorable union jack inspired sterling silver and enamel pink charm; the sterling silver chain bracelet; the sweet pillow the bracelet is presented on with its little red ribbon and the lovely matching red box and bag add a real feeling of indulgence to the gift. The bracelet is designed for children (but not under 3.) The chain is delicate and fitted my 6 year old nieces’ wrist beautifully. 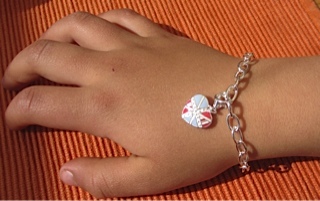 The union jack love heart charm in sterling silver with enamel feels well made. In fact my niece loved it and refused to take it off, wearing it until her mum finally convinced her to remove it at bed time! She thought the packaging was incredibly grown up and lovely, ooohing and ahhing, wide eyed as I undid the bow’s. I would recommend it only for younger girls, say 5 to 8. Girls tastes mature early these days and it might be seen as a little young for anyone older. However, I do see on the site that they also offer a black cord bracelet. 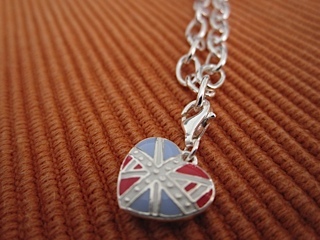 Using this for the charm, instead of the siver chain bracelet would probably appeal to an older girl. I might hesistate ever so slightly to pay £25 for a childs bracelet in general. But because this is sterling silver and comes so beautifully packaged, £25 is right on the money (!) and I would not hesitate to purchase any items. 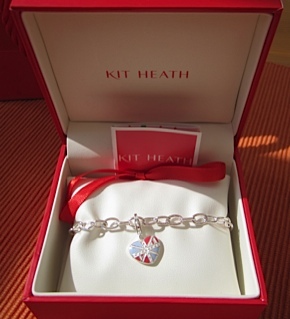 The link to the bracelet on the Kit Heath website is here. On my 6 yearl old nieces wrist.